Atlanta rap freak Young Thug is currently finishing up a U.S. tour while getting ready to drop his new album Carter 6, thereby beating Lil Wayne at his own game — he hasn't even dropped Carter V yet. 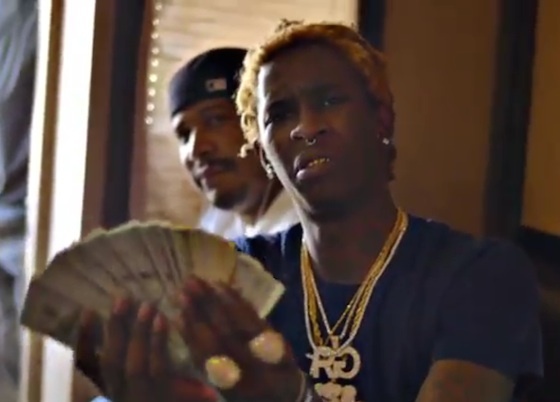 Still, Young Thug found time in his busy schedule to share a video for his track "Check." The clip sees Thugger kicking back on the tour bus with his friends. He spends most of the time counting one, which is stacked on a table next to some Pringles and some Lysol wipes. Watch the video for "Check" below.